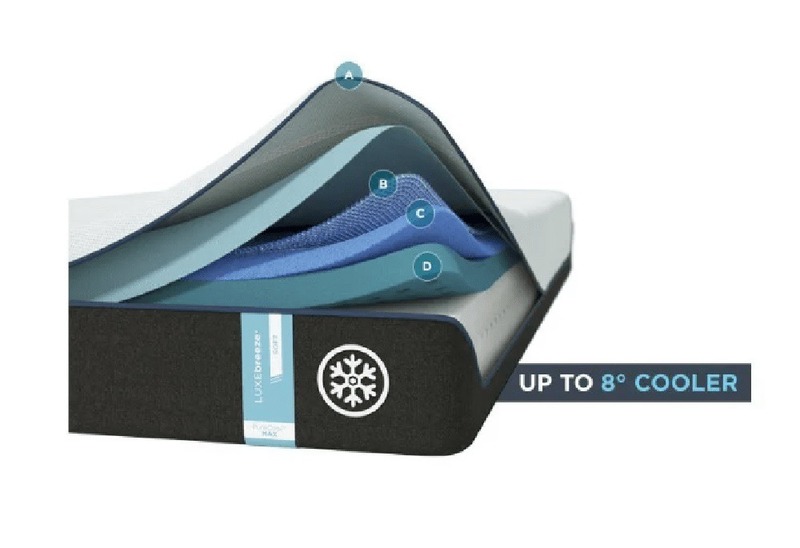 Although you may feel a slight heat retention from the mattress, which is common for most all foam mattresses, the Novosbed does a really good job at keeping you cool throughout the night due to its dense foam layers. It may be an all foam mattress, but it will not cause the sticky, sweaty feeling typical for most memory foam mattresses. Andrew sunk more than I did when sitting and lying on a mattress, but he did not reach the foundation. The new Tempur Pedic Cloud Luxe Breeze soft model is quite soft when compared to other models or the Novosbed model that we got. The PureCool+ Phase Change layer and TEMPUR-CM+ layer of this mattress place it around a 4-5 on a 10-point scale (10 being the firmest). So, when you lay on the mattress, you sink into it quite a bit, especially if you are a heavier sleeper like Andrew (230lbs). Below is our comprehensive side-by-side comparison of the Novosbed vs. Tempur-Pedic Cloud Luxe Breeze mattress.